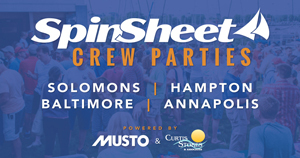 As a way to get SpinSheet readers excited for their new boats and June 23 Open Boats, Open House, our longtime advertiser Dream Yacht Charter invited us to take a spin in Annapolis Harbor on the new DuFour 360, one of the boats featured at the event. It was a calm morning on the middle Chesapeake, but we had enough pressure to raise the sails and get a feel for the boat. 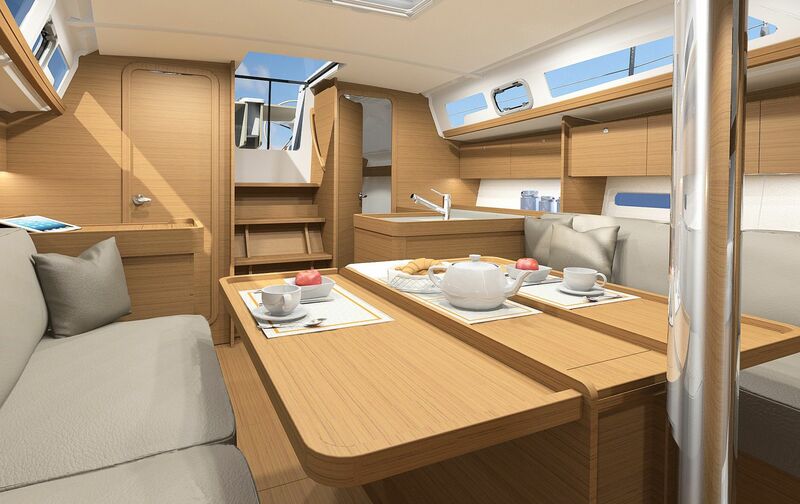 Before we left, we chatted a bit with Brad Kauffman (see the video above) about the DuFour 360 and some of her features, such as an outdoor galley (grill and sink) that folds under the seat by the swim platform. Anyone who regularly drops the hook and grills steaks and seafood will appreciate that in particular. Brad also mentions the June 23 Open Boats event. When they say that the lines are run aft, making it easy to sail as a couple, they are not kidding. The cockpit is created for just that—in fact, we watched Dream Yacht’s James Allsopp, who acted as our captain this morning, effortlessly trim the jib as he steered. Granted, it was not windy, but you don't have to reach far from either helm station to trim a sail. The boat is well-equipped with autopilot as well, so even if it had been breezy, it wouldn't have taken a Volvo Ocean racer or even long-armed person to solo this boat! Any competent sailor could easily solo her. 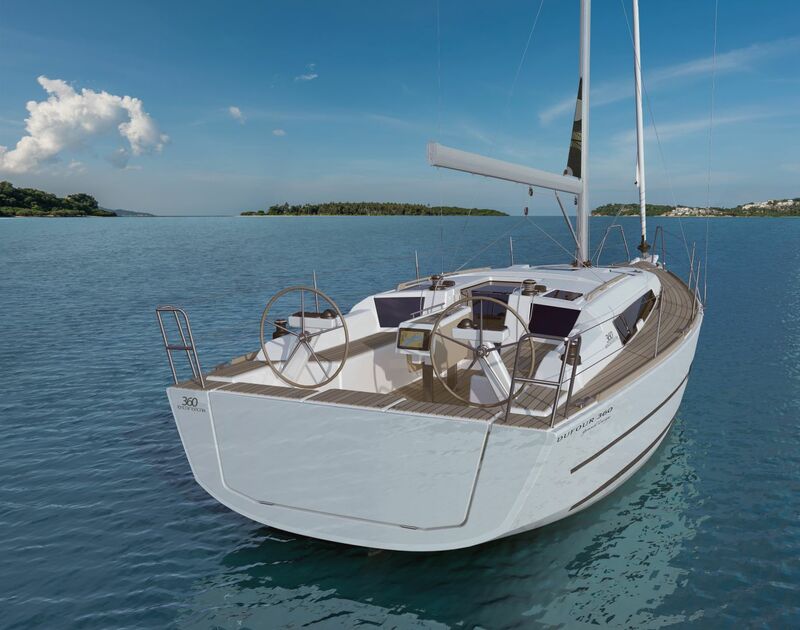 For a couple, this boat would be a piece of cake to rig, sail, and button up. 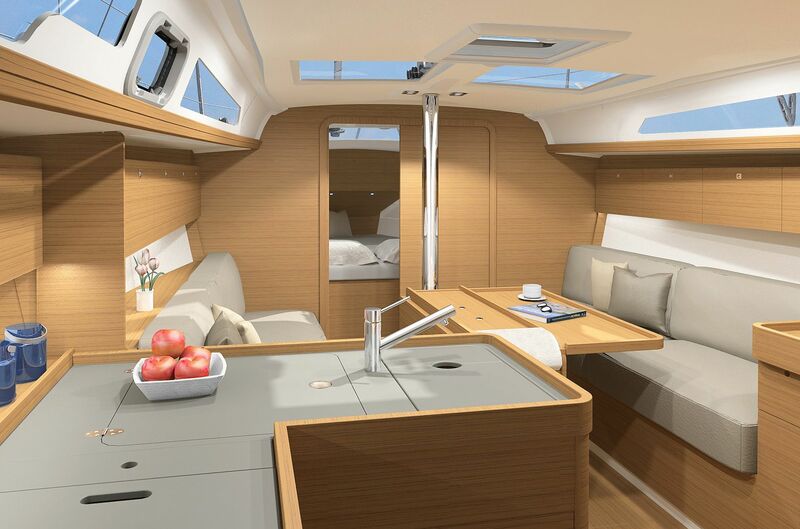 Here are some photos of and a video about the boat’s interior. Find more DuFour 360 photos here....... Note that Geoff Ewenson, shown below standing up in the DuFour's cabin, is 6'2" tall. 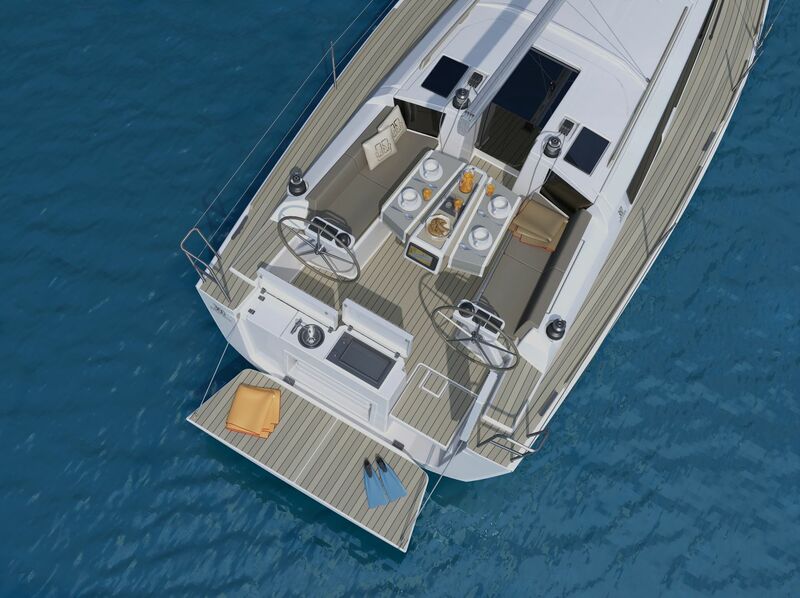 Here are the tech specs for the DuFour 360. Also, James explains the best conditions for the boat in this video. If you’d like to experience the 360 or a larger boat, the June 23 Open House is for you. Stop by Dream Yacht Charter’s Port Annapolis office anytime between 10 a.m. to 4 p.m. A full range of DuFours will be on display on the docks from 350, 360, 412, 460, and 520. All ready to sail away THIS SEASON. A DuFour factory representative will be available to show the boats and talk through the features and process of building the boat. There will be a brief presentation on putting a boat into charter management and how that can offset the costs of ownership. There will also be drinks and nibbles for all, so bring the whole family. Register for Dream Yacht’s Open House here, so they’ll know what you’re looking for… See you there!